I just found this picture of a cheep and easy watering system for hanging baskets. 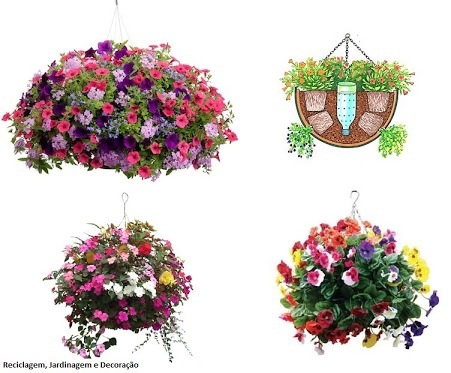 My problem with hanging baskets is most of the flowers i want to put in them require full sun. But a hanging basket in full sun needs to be watered every day. I'm not very good at remembering to go out and water things every day after work so they normally die on me. Nominally when i water my hanging baskets of most of the water spilling out on the ground. This system seams to be a grate idea, the bottle should release the water slowly. I think i will have to try this this summer. I have also read that you can get some powered jelly stuff that should absorb water and release it slowly, i haven't been able to find it in my area yet.